Law Office VRBA & PARTNERS provides wide range of legal services to its Slovak and foreign clients and it is ready to provide legal advice to firms or individuals, who pursue or are interested in pursuing their business activities within the market economy of the Slovak Republic. Lawyers of VRBA & PARTNERS have provided legal services since 2001. They have been engaged in dynamic legal environment of the Slovak Republic as attorneys or financial and bank lawyers. In order to provide clients with high quality services, they have established the law office VRBA & PARTNERS. management of receivables, extrajudicial and judicial debts recovery, debt recovery in enforcement, bankruptcy proceedings, restructuring, inheritance proceeding, criminal proceeding and in liquidation of legal entities. Mr. Vrba focuses mainly on civil and commercial law with emphasis on corporate law, property law and receivable management. JUDr. Branko Vrba provides legal advice mainly on civil and commercial law with emphasis on corporate law, property law and receivable management. He has gained experience in advising developers and investors on acquisition projects and subsequent complex legal service in connection with realization of client´s investment. JUDr. Branko Vrba is responsible for collective as well as individual debt recovery, and represents clients in bankruptcy proceeding. He personally attends the most important court proceedings, in which the law office represents its clients. Mr. Vrba provides legal services in Slovak and English language. Since 2001 he is a member of the Slovak Bar Association. Focuses on commercial, banking and financial law with emphasis on project financing and property financing. JUDr. 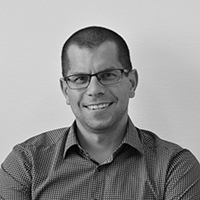 Pavol Urbanič had worked for Tatra banka, a.s., Division of corporate banking for almost 7 years as the senior lawyer. He was responsible for legal service regarding project financing, property financing, corporate financing and standard credit financing. Mr. Urbanič had participated in important court proceedings of the bank and bank business deals. At the end of his bank career he had participated in development of new products for corporate financing. He benefits from this experience and provides legal advice on banking and finance law to the Slovak and foreign clients. As the attorney he participated in many significant real estate acquisition projects. Within the scope of his practice falls provision of legal advice to banks and branches of the foreign banks in relation with their business activities, mainly on project financing and proper setting of securities. 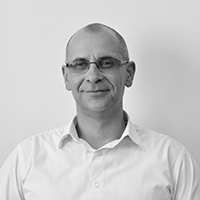 Mr. Urbanič provides legal services in Slovak, English and French language. Since 2006 he is a member of the Slovak Bar Association. JUDr. Soňa Urbaničová has provided legal services for more than 10 years. In the legal office she focuses mainly on civil and commercial law, both on substantive and procedural law. JUDr. Soňa Urbaničová specializes on labor law and family law, where she represents clients in divorce proceedings, settlement of tenancy in entirety and regulation of their rights and obligation to minors, in particular relating to aliment, custody of children, access or shared custody. 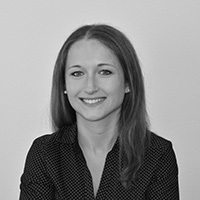 Mrs. Urbanicova cooperates with the legal office since 2009 and provides legal services in Slovak and English language. Provides legal services in the area of civil law, focusing on family law and law of intellectual property. Mgr. et Mgr. 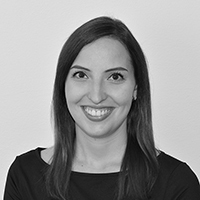 Tatiana Mitanová provides legal services mainly in civil and commercial law, both in substantive and procedural. She specializes in family law, where she represents clients in divorce proceedings, settlement of tenancy in entirety and regulation of the rights and obligation to minors, in particular relating to aliment, custody of children, access or shared custody. In the area of intellectual property Ms. Mitanová prepares the agenda and registers the trade marks, patents and other intellectual property rights. She provides legal services on Slovak and German language. She became the member of our team on 2014. Focuses mainly on civil and commercial law including procedural law, especially on debt recovery. Mgr. 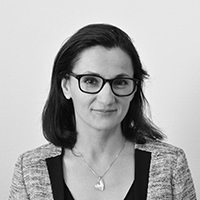 Josipa Caglevičová provides legal advice in area of civil and commercial law, both substantial and procedural, and focuses on debt recovery from extrajudicial through judicial to enforcement proceedings. Within the scope of her practice falls drawing up and assessment of various contracts. Ms. Caglevičova provides legal services in Slovak and English language. She is the part of our team since 2016. 2016, VRBA & PARTNERS s.r.o. © All rights reserved.